With the Scosche motorMOUTH II review in the bag it was time to see what was in package number two. 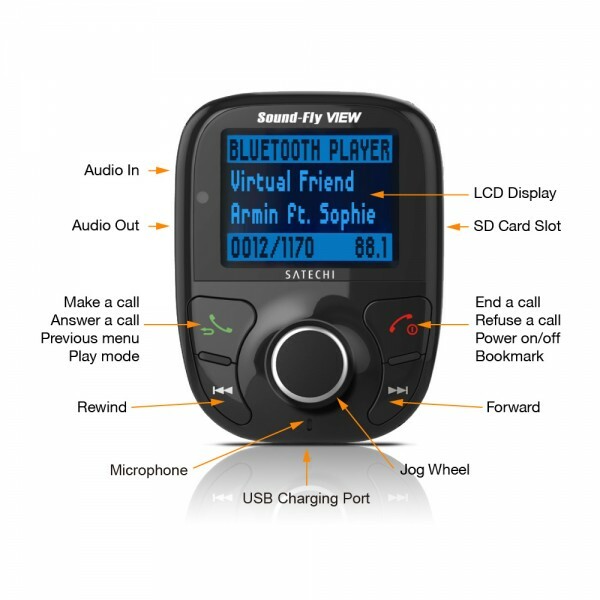 This time around I get to review the Soundfly View provided to us by Satechi and similar to the motorMouth with more bells and whistles, this device allows for audio playback along with hands free call capabilities. 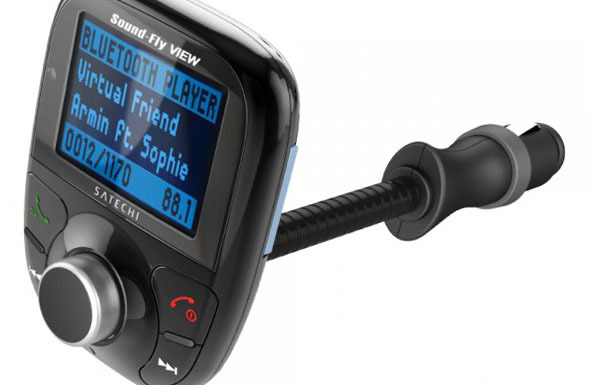 This is made capable through the FM transmitter that plugs into the your car’s cigarette lighter power point, and in addition to Bluetooth capabilities,Satechi threw in a 2 inch screen, SD card slot, auxiliary input and output, remote control, and USB charger. What I particularly appreciated in regards to the Soundfly View was how versatile this little device was. You can play just about anything, charge just about anything, and comply to driver safety laws all at the same time. Though it is not easy to see the screen in certain vehicles, but what is easy, is the ability to change tracks and volume without having to pull your phone out of your pocket or purse. Even if your vehicle has an auxiliary port, I felt it was still easier and more convenient than accessing tunes with a male to male headphone jack. The sound quality is good and though some quality was lost, it was nowhere near as much as that of the motorMOUTH. 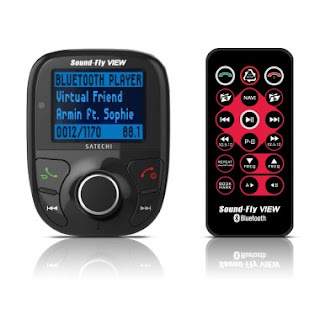 The quality was about as good as the Sirius satellite radio we pick up through town and you can choose which frequency you would like to transmit through. This however is not a good fit for all vehicles depending on the dash design and power point location. Though Satechi does its best as making this a universal design to fit most makes and models, one size doesn’t fit all. In my pickup, a 2004 Nissan Frontier, the way in which the dash is set up does not make for an ideal application for the Soundfly View. The reason was that the bendable mount takes some fighting with to get how you want, and did not always stay how I intended. Lastly, it is nice to have your phone book available to access and while you can import to the Soundfly, it is a bit difficult at times to navigate, especially while driving, to find the right contact and to only be asked repeatedly to repeat myself, on a couple of the phone calls made home to mom. 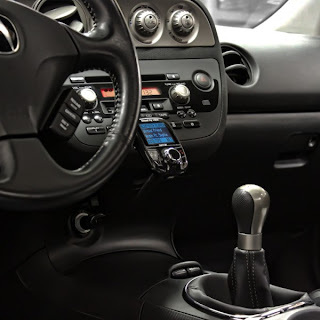 If your whip does not have an auxiliary input, Bluetooth support, or a phone charger, then this is a great fit as you will like how easy it easy to sync up, the ability to access internet radio over your stereo, and charge your phone on long road trips or for a quick boost. Though the sound quality of phone calls are not quite as good as being directly on the phone, and can be a crapshoot at times in regards to whether the person on the other end will be able to hear you. However, the rest of the features on this device met and exceeded most of my expectations and is a device I would definitely recommend as long as you do not already have a car charger for your phone or already have the ability to access your phone from your car stereo.